"It begins like so many stories with a boy too old to be a kid, too young to be a man... and a nightmare." Early into Juan Antonio Bayona's film adaptation of the Patrick Ness children's fantasy A Monster Calls, twelve-year-old Conor watches with dismayed confusion as Kong, in the original 1933 black and white classic King Kong, is riddled with bullets, questioning why anyone would try to kill him. As Kong clings atop the Empire State Building, he falters, ultimately letting go and falling to his inevitable death. The scene resonates a negative undercurrent within Conor, mirroring his own nightmare where, upon the cemetery grounds opening up, he's left clinging to his mother's hand, eventually watching in horror as he's unable to hold on. Prior to this moment, the scene begins as Conor's mother, simply known as "Mum" here on out, wishes to surprise him with his grandfather's old film projector. "I wish you could have known him," she says, adding "even Grandma softened up around him." This bit of dialogue succinctly sets up the strenuous relationship between Conor and his grandmother but also illuminates the relationship between Mum and her father whose spirit hovers over the story in more ways than one; although his fate is never addressed, bits and pieces of backstory are threaded throughout, including photos of Liam Neeson who voices the titular character with Conor's young Mum, suggesting the film's plotline is one that this family, particularly Mum herself, has had to endure before. 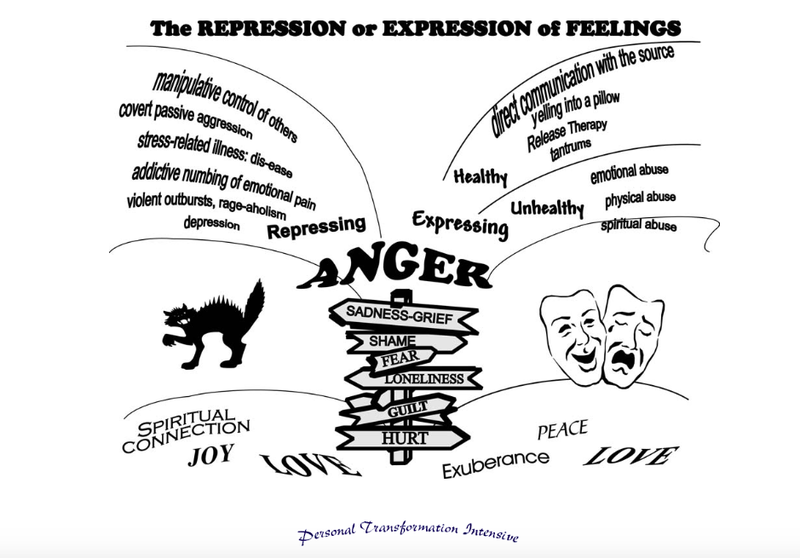 It is here, within this context, that we see the reason why we tell stories. 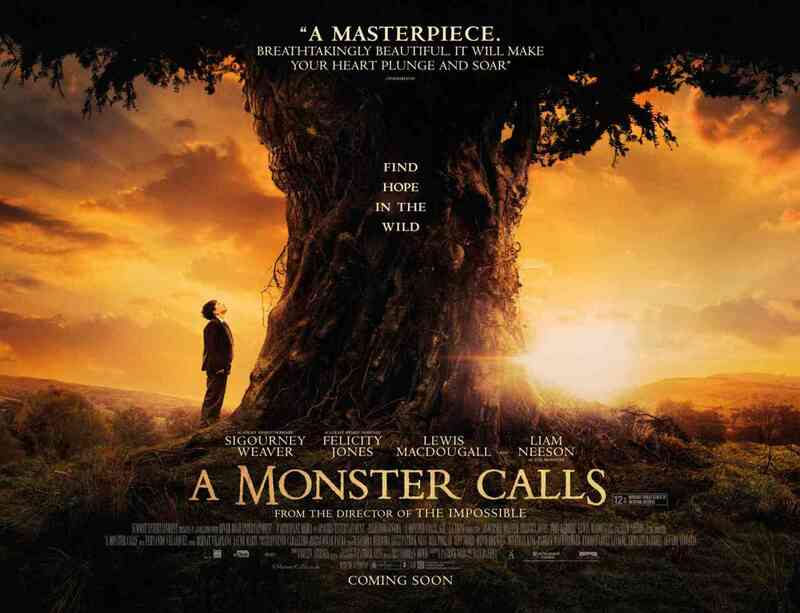 A Monster Calls is itself a story featuring three morally complex short tales to help a troubled child deal with another issue altogether: the comforting stories we tell ourselves as a means of self-deception. MONSTER: I will visit you again on further nights, Conor O'Malley, and I will shake your walls until you wake. And then, I will tell you three stories. And when I finish my stories, you will tell me a fourth. You will tell me a fourth and it will be the truth. This truth that you hide, the truth you dream, you will tell me your nightmare. That will be your truth. CONOR: Who's the good guy here? MONSTER: There's not always a good guy, Conor O'Malley, nor is there always a bad one. Most people are somewhere in between. "Stories aren't real, though. They don't help anything," Conor tells The Monster before the second story is told involving another complex tale of an Apothecary, a man of faith without faith, and the deaths that intertwine them. Here Conor learns from The Monster that belief is half of all healing and that, as such, your belief is valuable, so you must be careful where you put it... and with whom. CONOR: Does that mean it's too late? MUM: No, of course it doesn't mean it's too late. Mum smiles, answers knowingly. He's getting it. MUM: Yeah, and you know that tree I'm always going on about? Well, this drug is made from trees like that. All this time, we could have gone out there and chopped it down. But no, not that one. That one's our friend. 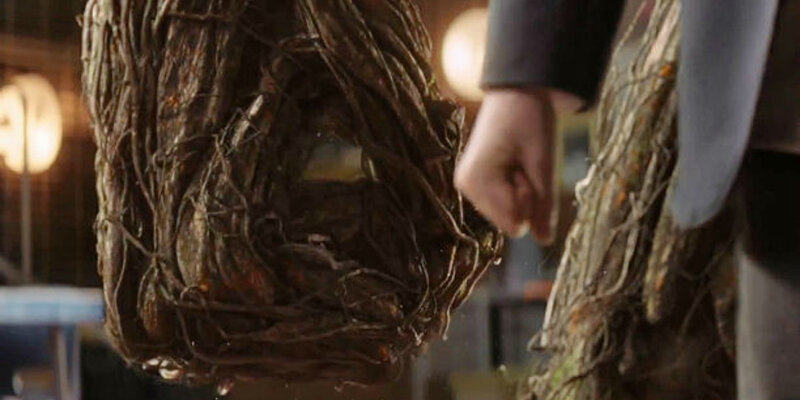 CONOR: You're a tree of healing and I need you to heal! While Conor grows insistent the new treatment involving the tree will heal his mother, it becomes increasingly evident to the audience this will not be the case, a fact Conor's father hints at when he tells him The Monster is just a dream, that he knows it's tough but Conor has to be brave, face reality... and the inevitable. The truth, however, is The Monster is indeed very real, just not in the form we see him... and not a product of Conor's imagination, but rather one of his mother's. Laying awake later at night, Conor hears something that stirs him, leading him downstairs where he finds his grandmother watching old videotapes of Conor and his Mum. The tapes, discovered earlier after Conor's thrashing of his grandmother's living room, show Conor's Mum teaching him as a younger child how to watercolor. "Life is always in the eyes. If you get that, you'll be a proper artist," she says, the subject of her painting finally revealed to be "Our Monster." MONSTER: There was once an invisible man who had grown tired of being unseen. It was not that he was actually invisible, it was just that people had become used to not seeing him. One day the invisible man couldn't stand it anymore. He kept wondering if no one sees you, are you really there at all? DIRECTRESS: If you want to be seen, O'Malley, this is not the best way. School rules dictate immediate exclusion... but how could I do that and consider myself any kind of a teacher? Go back to class. We will talk about this one day, but not today. CONOR: You're not punishing me? This exchange highlights Conor's symptoms stemming from expectation, specifically the expectation of being punished for the way he truly feels inside with regards to his mixture of volatile emotions - an issue that harkens back to the stories he's being told lacking a clear good or bad guy, for such moral clarity is easy to follow and gauge oneself against vs. the realities of life, as explained by his father, where most of us get "Messily ever after." The root of Conor's problem, however, still lies just underneath the surface, buried by a layer of self-deception. MUM: It's ok that you're angry, Con, it really is. I'm pretty angry, too, to tell you the truth. But Conor... Conor, are you listening? One day, if you look back and you feel bad for being so angry you couldn't even speak to me, you have to know that was ok. That I knew, because I know everything you need to tell me without you having to say it aloud. And if you need to break things, by God you break them. Break them good and hard and I'll be right there Con. I wish I had a hundred years, a hundred years I could give to you. Conor suddenly realizes he's in the cemetery, the place of his nightmare. MONSTER: It is time... for the fourth tale. CONOR: I don't know any tales! I have to get back to my Mum! CONOR: I want it to be over!!! I can't stand knowing that she will go. I want it to be finished. I let her fall. I let her die. CONOR: Why didn't it kill me? I deserve punishment. I deserve the worst. CONOR: I've known forever that she wasn't going to make it. She kept telling me she was getting better all the time because that's what I wanted to hear. And I believed her. Except I didn't. CONOR: And I started to think how much I wanted it to be over. I couldn't stand how alone it made me feel. MONSTER: And that is your truth, Conor O'Malley. CONOR: I didn't mean it, though. And now it's for real. Now she's going to die and it's all my fault! CONOR: I didn't mean it. CONOR: I don't know. Your stories never made any sense to me. 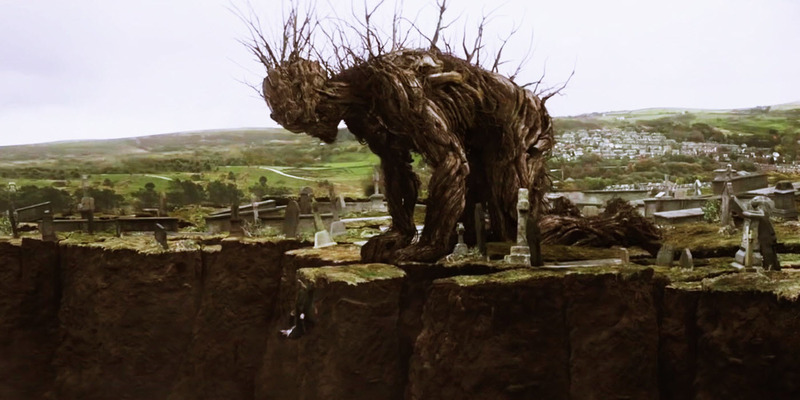 While being a completely different story than The Babadook, A Monster Calls main character, Conor, shares a number of psychological issues with the former's main character, Amelia, most notably those on the post (Sadness-Grief, Shame, Fear, Loneliness, Guilt and Hurt). While Conor is strongly encouraged by his Mum to express his emotions, Amelia represses hers. MONSTER: Of course you are afraid. It will be hard. It will be more than hard. But you will make it through, Conor O'Malley. MONSTER: I'll be right here. CONOR: I don't want you to go. I don't want you to go. --finally hugging her as she looks to The Monster and closes her eyes as the clock turns to 12:07 a.m., a reoccurring motif throughout the film dictating what time The Monster would appear. Conor and The Monster don't see eye to eye on the value of telling stories. While it is easily assumed at the beginning of the story that the main relationship, the one that causes conflict between two opposing views until one forces the other to change, to be between Conor and The Monster, the reality actually comes from the perspectives they represent. Conor, as the main character, is easily defined, but The Monster is really representative of his Mum's perspective as hinted throughout the entire story with The Monster being a creation of her imagination. Nowhere is this more evident than the film's epilogue wherein Conor "inherits" his Mum's bedroom after moving in with his grandmother. There, Conor finds his Mum's book of drawings and paintings, flipping through its pages with a small smile until it dawns on him suddenly that the figures are representations of characters in The Monster's three stories. Perplexed, he flips through pages of dragons, Kings and Queens, the Apothecary, and others until he comes to a small characterization of a girl he recognizes to be his Mum which brings another smile to his face. Upon pulling the folded page back, Conor is hit with a sudden realization seeing her sitting on the shoulder of The Monster: these stories already existed. Whether or not the stories were passed down to Conor's Mum by her father, or whether he died via the same manner as she is left to the audience's imagination, but there's little doubt for the audience to infer that Mum's imparting wisdom upon her son, her knowing everything he needs to tell her without him having to say it aloud comes from her own personal experience of having lost her father and dealing with her own grief. Her presenting these stories and talking about "The Monster" thusly become an effort to help guide her own son through the same troubling waters, making A Monster Calls a perfect illustration of why we tell stories in the first place. This article is dedicated in loving memory to my beloved side-kick Shar-Pei mix Steeler who, at the time of writing this, was recovering from his third surgery in 39 months to remove a reoccurring mast cell tumor on his front paw that had become aggressive. 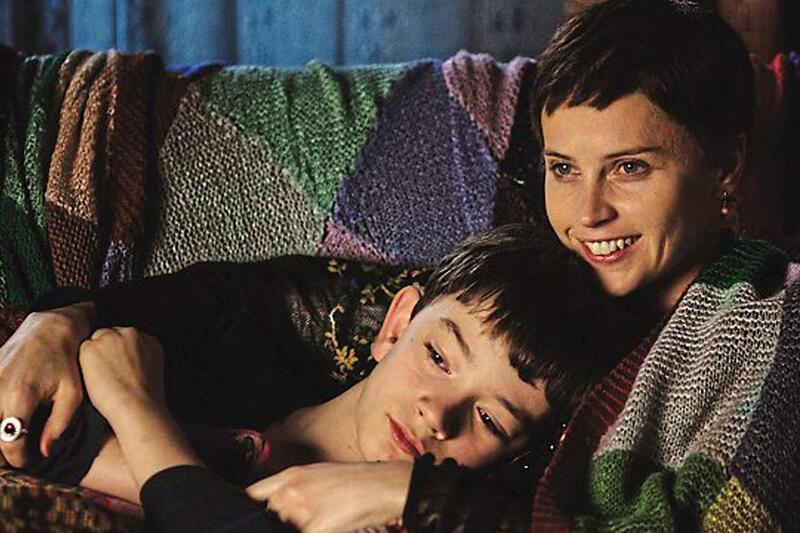 Over the last two months of his nearly twelve-year-old life, he, just like "Mum" in A Monster Calls, was battling cancer with a grim Stage 3 prognosis. Surgery didn't work. Chemo didn't work. Just like Conor, I knew deep down inside Steeler wouldn't make it and that his time was left with me was nearing. And just like Conor, I felt every bit of emotion from guilt to anger, hopelessness and just wanting it to be over after the number of vet trips climbed toward forty over the last several months. On April 1st, I awoke to find Steeler barely able to walk and his foot swollen. Consulting his vet over the phone and another on duty in person, I knew it was only a matter of time and just a question of how much? Unfortunately, my worst fears came true: his tumor ruptured during the following night and the heart-breaking decision to let go was made. Steeler died approximately 11:35 am the morning of April 2nd with me by his side. I will forever be grateful for what he taught me, the time we spent together and that his last night was spent sleeping by my side. Rest in peace, my buddy, and know that despite your being missed, you will never be forgotten and I'll cherish our memories forever. Next Next post: The Babadook: when allegory meets expressionism in a therapeutic horror classic.